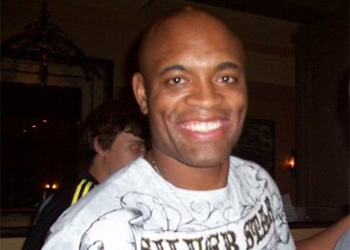 If Chael Sonnen was hoping to get under Anderson Silva’s skin with his creative rants, “The Spider” appears to be more amused than agitated. At any rate, he’s definitely listening to all the junk spewing out of the potential politician’s mouth. The middleweight top contender has covered everything from Silva’s fictitious jiu jitsu black belt – courtesy of fellow Brazilians, the Nogueira brothers – to the champ’s rapidly dissipating 15-minutes of fame. Despite Sonnen’s diversified disses, Silva opted to address one specific slight on this particular day. “First, Chael says he wants to be a fighter. Then, he says he wants to be a politician,” Silva added. “Which one is it? You can only choose one. For those weary that MMA’s deadliest assassin is still in middleweight hibernation, think again. “I’m going to go in there and give the best performance I can,” the 185-pound king emphatically stated. The rivals will collide at UFC 117 on August 7th inside Oracle Arena in Oakland, California.